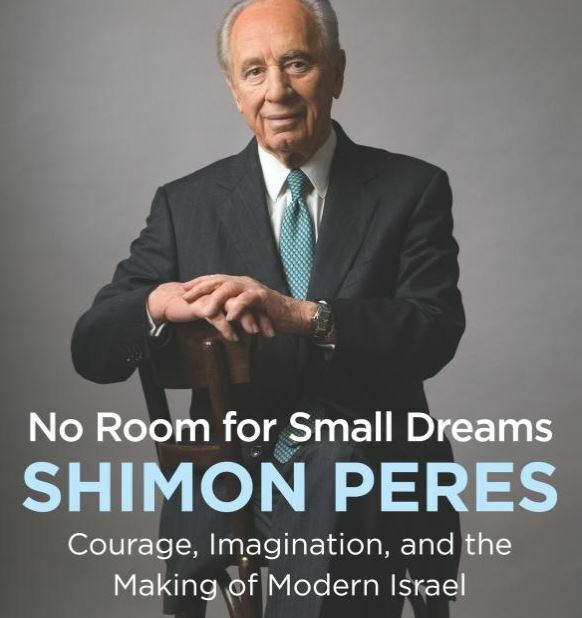 I just finished reading the autobiography of the late Shimon Peres, No Room for Small Dreams. Courage, Imagination and the Making of Modern Israel. Peres, who spent a lifetime in public service to his country, was also a beloved, inspirational elder world statesman. He was esteemed by people of all faiths for his optimism, hope, and belief that the world could not only be better but that we can make it as great as our imaginations allow us. He wrote, “Throughout my life, I have been accused by many people…of being too optimistic – of having too rosy a view of the world and the people who inhabit it. I tell them that both optimists and pessimists die in the end, but the optimist leads a hopeful and happy existence, while the pessimist spends his days cynical and downtrodden” (p.79). And let’s remember, Peres, who received a Nobel Prize for peace-making, also knew the horrors of war and death throughout his long life (he died at the age of 93, on September 28, 2016). He didn’t write these words from a detached perch of one who had lived a carefree, luxurious life. Peres then goes on to explain just how dangerous cynicism is not just for an individual, but for a nation -any nation. “First, it’s a powerful force with the ability to trample the aspirations of an entire people. Second, it is universal, fundamentally part of human nature, a disease that is ubiquitous and global. Third, it is the single greatest threat to the next generation of leadership. In a world of so many great challenges, what could be more dangerous than discouraging ideas and ambition” (p.79)? The Jewish festival of Hanukkah, which concludes on December 20, is a holiday that celebrates hope and optimism over cynicism and despair. We have what are likely accurate historical records of internal debates within the Jewish community of that time between those who were cynical about the possibility of overcoming the seductive Greek culture and mighty army of the Syrian Empire, and those who maintained their optimism against all odds. And the pessimists had a pretty good argument: how could a ragtag, untrained and hastily created a fighting force of Maccabees defeat one of the world’s great powers and reclaim its right to live authentically according to its way of life, making contemporary adaptations on its terms? It turns out that the optimists were right, and we’re still celebrating Hanukkah by kindling lights that inspire us to banish cynicism and replace it with light, joy, and hope. And despite its different origins, the celebration of Christmas, that often coincides with the days of Hanukkah, only reinforces the universal need for more dreamers of hope to nullify cynics who seek to corrode the human spirit. Simply kindling a light won’t make the brightness of hope last for very long. But reflecting on the power of a flame challenges us with a choice: do we want to watch the cynics burn out our latent possibilities for greatness, or inspire us with acts of kindness and imagination to dream about just how beautiful and good the world can be? I’m going with the optimists, not because I’m naïve, but because they actually have a better track record! 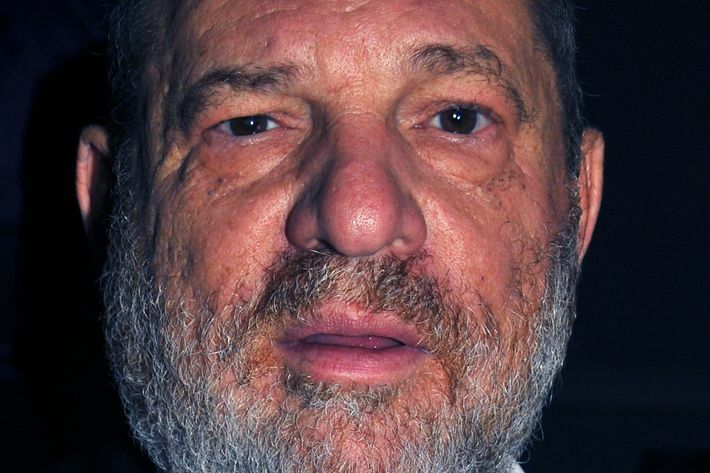 It also appears that the words “power” and the phrase “sexual assault” were frequently searched. Dictionary.com isn’t the only dictionary that selects a word of the year. Another dictionary, Collins, selected “fake news” as its 2017 first choice, with “gig economy” as a close second. Other dictionaries will wait for several weeks to announce their winning words, but let’s not confuse a search for definition with an inquiry for understanding. While these dictionaries compete for our attention with gimmicks like “the word of the year,” probe beneath the number of searches for a word’s definition, and you’ll find that it speaks to our yearning to understand the world about us. Looking up the definition of a word won’t change the world. But in the case of “complicit,” knowing what it means can motivate us to fix what we don’t like. There is a wise insight found in the Jewish tradition about the power of words and their ability to create worlds (see Pirkei Avot 5:1) This insight is based on the Genesis creation story (Chapter 1), in which God’s words literally give birth to the world and its creations, a world that, when completed, is described as “very good.” Words, then, can create worlds of meaning and purpose, or become weapons to distort truth and poison relationships. Our choice for Word of the Year is as much about what is visible as it is about what is not. It’s a word that reminds us that even inaction is a type of action. The silent acceptance of wrongdoing is how we’ve gotten to this point we must not let this continue to be the norm. 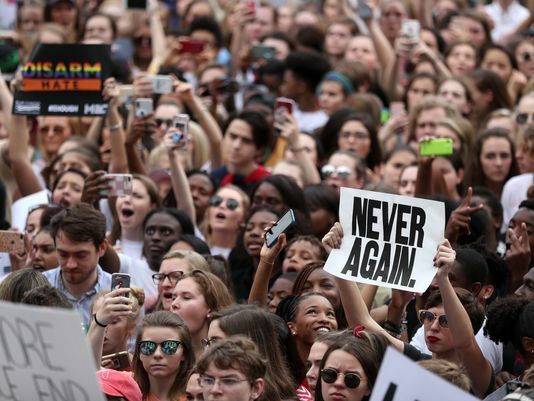 If we do, then we are all complicit. The good news: we have over a full year to work toward a more optimistic finalist for the 2018 Word of the Year. What would you like it to be, and what work are you willing to do so that the number of people who search for it in 2018 will reach a record-breaking high? Let me hear your suggestions below and thanks!